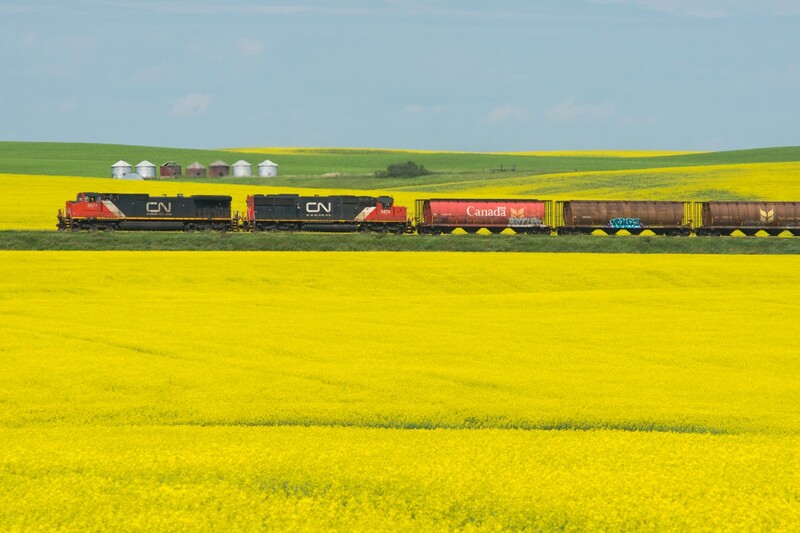 Railpictures.ca - Matt Watson Photo: CN 199 slices through the canola fields of Keppel Saskatchewan. | Railpictures.ca – Canadian Railway Photography – photographie ferroviaire Canadienne. Caption: CN 199 slices through the canola fields of Keppel Saskatchewan. Marcus- It might be time for another trip to the wild west. Love it, almost surreal with all that yellow.